Setting up a Mountain Bike Club at school has been a great way of sharing our passion for the outdoors in a way that really makes a difference and we have seen a large number of students come through the club. The club had been using mountain bikes that were now 5 years old, and it was time to think of a 'money making scheme' to buy new bikes............. After lots of thought, the crazy idea of the Coast to Coast was discussed and decided....but in keeping with the crazy nature of the staff involved in the club, it was suggested to do the challenge in 24 hours - riding from Whitehaven to Tynemouth in one go with students and staff! When the idea of the challenge had sunk in, preparation was key to convince parents that this was possible. Students from Year 7 to sixth form were interested and were asked to send in letters of application to apply for a place on the challenge. All students, whatever their age or fitness level were able to apply; we felt it was very important to include all students who had been involved with the club and wanted to make it inclusive. A plea went out to staff for support, with the support staff as important as anyone to ensure the challenge could go ahead. 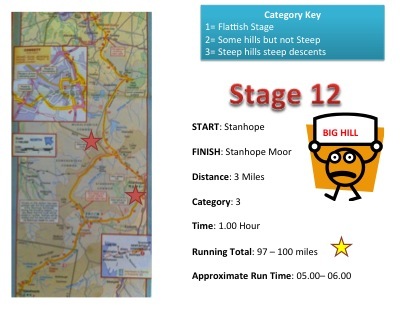 Once applications were in, the C2C was broken down into 17 stages (between 7 - 16 miles each) and target setting for students and staff took place. Each stage was designated a certain category, with Category 1 easier than 2 and 3. Some students and staff were aiming to ride the entire route, with no rest (or sleep!!!) while others targeted certain stages dependant on their age and fitness (everyone rode a minimum of 70 miles). All those taking part were asked to raise a minimum of £100 in sponsorship. Once applications were in, the final numbers were, 14 staff and parents and 16 students. 3 support vehicles assisted the group with more staff and parents. In preparation (and as an excuse for a crazy ride in May half term), Kath and Dave rode the C2C in one day - 14 hours as a 'recce'! The day of the challenge finally came. A weekend in July was decided upon to increase the amount of daylight for the group and give us more preparation time. Students and staff met in school with bikes and provisions before the giant game of Jenga started. All bikes needed to be loaded into the 2 vans with everything else for the weekend and all riders were then loaded into the mini bus. We decided on the 2 vans as support rather than a trailer because we didn't want to pull the trailer across the country when we didn't need to! 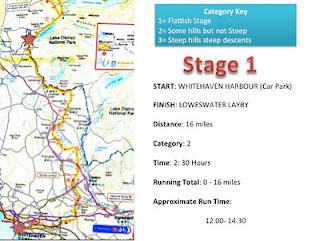 Once loaded, we headed to Whitehaven, with nervous anticipation from everyone on what challenges we would overcome. Once the convoy arrived at Whitehaven, everyone headed to 'The Beacon' to get some breakfast before the challenge started. The plan was to begin at noon on Saturday and finish at noon on Sunday. We found out that it was the Whitehaven Carnival on Saturday so were keen to get breakfast and get away as soon as possible, without getting caught up in the festivities! Although with our colourful group, we may have got a prize!?!?! To make things manageable throughout the weekend, the riders were split into 3 groups for each stage with staff leaders as pace makers. Staff were in orange and students in yellow. Much of the preparation centred around the fact of making sure riders did not go off too fast so the pacing was key on the route and controlled by Kath with a radio at the back. It was a great sight to see the three groups head away from the harbour on the first part of the route. A number of parents had gathered to see off the riders and we had our own carnival atmosphere with everyone waving and clapping the group. Once the groups weaved through Whitehaven, they headed west towards Cleator Moor on the cycle way. This was a very pleasant ride from the word go with varied scenery and easy riding. The view soon opened up just before Loweswater to give fantastic vista's towards Buttermere. Midway through the stage, the support crews met the groups and guided them across the road, the support was a welcome addition to the groups who were soon realising the size of the challenge they had signed up for! Spirits were high as the group headed to the end of Stage 1. Some of the support crew eating the goodies before the riders arrived! 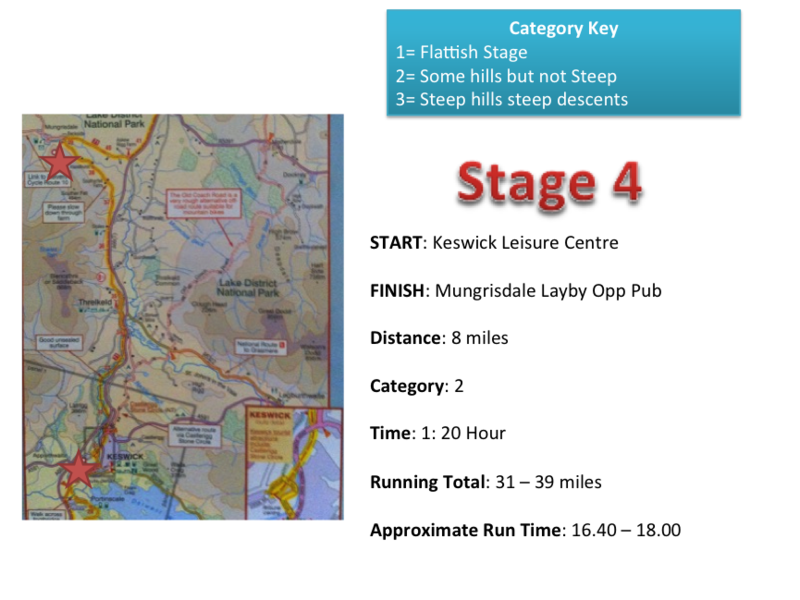 The end of the first stage was a large lay-by alongside Loweswater, some refreshments were taken on and a little bit of bike maintenance undertaken. Riders soaked up the sun and the views before tackling the next stage. After leaving the lay-by, the group headed towards Lorton before turning off the main road for the climb to Whinlatter. 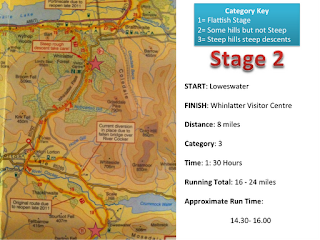 The C2C route over Whinlatter is a steep climb on narrow roads that runs parallel to the main pass road. Once again, the 3 groups took the climb steady with each individual group staying together as a team. Riders showing their support for the groups on the climb! After rejoining the main 'pass' road, the 3 groups of riders made one convoy on the final part of the ascent. The riders were greeted at the top of the climb by the support vehicles and had chance for some snacks knowing that the first major climb of the weekend was now in the bag! 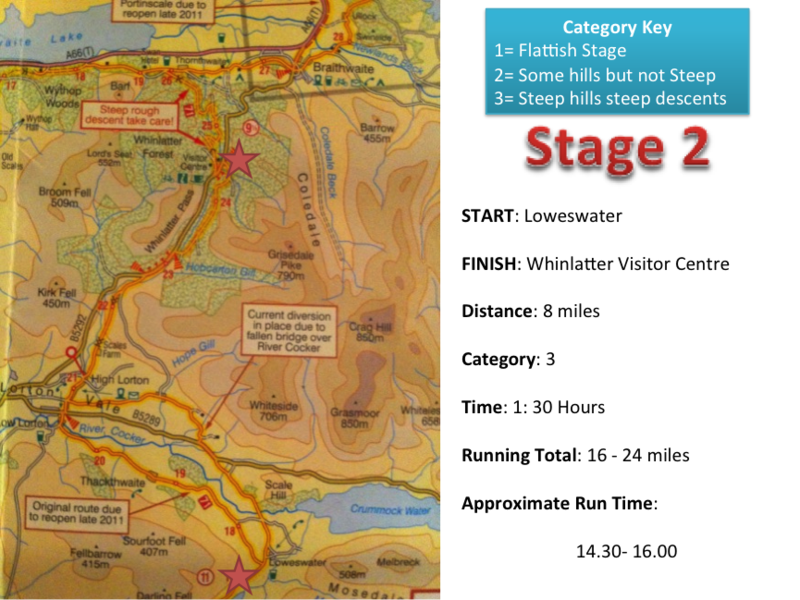 With Cyclewise based at Whinlatter, it was a handy place to stock up on spares for the rest of the route. The steep descent down Whinlatter was a welcome relief to the riders. But as group leaders, the steep descents were a cause for concern in terms of the safety of the riders. On each steep descent, group leaders controlled the speed at the front and each rider was reminded to keep enough distance from the rider in front and feather their brakes. On the Whinlatter descent, a support vehicle went in front to help with this and with its flashing light made other road users aware of the traffic on the steep, sharp and often thin bends! 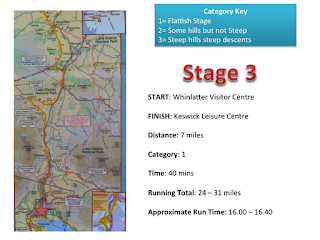 Following the steep descent from Whinlatter, riders went through Braithwaite before a nice steady ride on the cycle way took the group to Keswick and towards the old railway station. Once past the leisure centre, the group joined the 'old railway line'. The disused railway was originally built between 1862 and 1864 to link West Cumberland and Durham, 2 great iron producing areas. The railway opened to passengers in 1865 and finally closed in 1972. 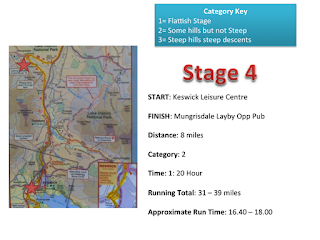 The rough trail lasts for approximately 4 miles to Threlkeld. Once at Threlkeld, the riders contoured alongside Blencathra, a gradual climb through a number of gates before the gentle descent to The Mill Inn at Mungrisdale. The riders then headed back towards the A66 from Mungrisdale along the undulating road. The groups then joined the cycleway running alongside the A66 and peddled up the steep hill before taking a left and following the C2C route on the old road parallel to the A66. It was a real drag up this part of the route but once the riders reached the highest point, it was a welcome relief to drop down to Greystoke. 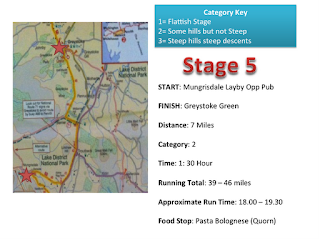 The arrival at Greystoke was a welcome destination at around 6pm with all riders ready for some much needed food. 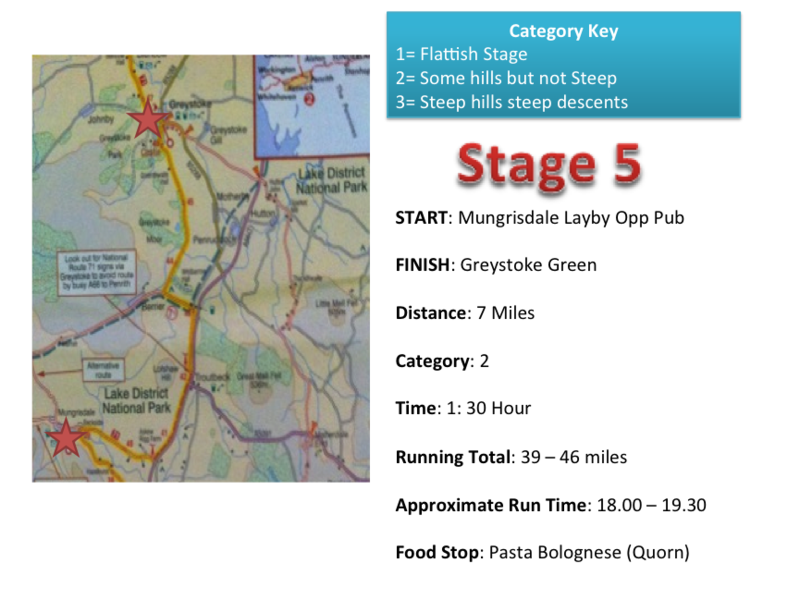 The support vehicles had driven ahead to get a parking spot on the village green and start the mammoth task of cooking for 30 hungry riders! Pasta and quorn were on the menu. The mini bus stayed behind the riders on the route to Greystoke. The late afternoon sunshine was very pleasant and the lovely surroundings meant everyone was in relaxed mood while waiting for something to eat. The group relaxed on the village green around the ancient market cross, dating back to the early 1600's. The Boot and Shoe Inn was also a welcome relief for riders, and the owners were very kind to let us use the facilities free of charge. The Inn is on the C2C route and is well worth a stop for their hospitality. Once the stomachs were full, the riders were soon eager to get on their bikes for the next stage. The group headed towards Penrith along the back roads. Once through Newton Reigny, the riders headed through the grounds of the University of Cumbria before riding under the M6 through the underpass. At Penrith, the group headed up the hill towards the golf course. This was a slight detour from the 'official' route, but meant the riders didn't ride through the town and also kept the height rather than needing to drop down to climb back up. With the sun beginning to set, the view back over the Lakes was pretty spectacular and one last team shot in the light gave everyone the opportunity to savour the views and reflect on the distance travelled so far. After the photo, the group turned left to climb up to the beacon at Roundthorn before dropping down the other side on the hill towards Langwathby. The group were on alert on the descent with a notorious barking dog potentially lying in wait!! 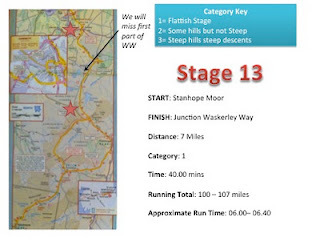 The ride towards Langwathby was very relaxed and seemed to be a gentle descent which meant riders could relax and chat on the quiet country lanes. The road was quite narrow in places so the front and back markers were always aware of any traffic. The group were well trained by this point, and if any cars came towards the group, the riders quickly got into single file and 'car front' was shouted and continued down the line to ensure everyone was aware and got into position. The same happened with 'car back' shouted for vehicles overtaking the group. The group all rode together at this point and before joining the 'busy' (when more than 1 car overtakes us it means it's busy!) A686 towards Langwathby. The group rode over the river bridge and into Langwathby and were welcomed by a group of parents waving and clapping the riders. By this point the group had a convoy of support vehicles with parents in cars following the mini bus onto Little Salkeld. 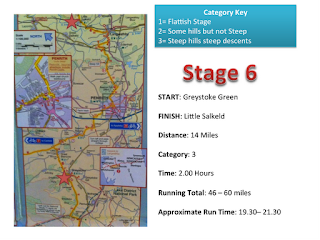 The riders rode up through Little Salkeld and were once again greeted by well wishers on the steep hill out of the village. The group stopped on the big straight with support vehicles either side to protect the riders as food was taken on board and lights were attached to bikes. Once all lights were checked on the bikes, back and front the group were ready to head off. With the dark now well and truly here, a quick briefing for the group on the importance of keeping alert was given and a few layers of clothing were put on as the temperature dropped. Now back in the 3 groups, the riders headed towards Renwick and the hills were getting steeper and more undulating. The riders turned right just before entering the village of Renwick towards Hartside. The pass from Renwick is steep in places and unrelenting for 3 miles up to the main road, the A686. The students and staff stayed in their groups and chanting was heard throughout the evening skies as spirits were kept high amongst the riders and the chanting and singing helped to take the minds off the tough climb. The support teams commented what an awesome view it was, seeing the red lights from the back; some flickering as they moved up the hillside. Once the riders joined the A686, the steepness relented and was a welcome relief to all as the group headed to the top of the pass and the cafe - the highest in England. Another positive aspect of riding this road late at night was there was no traffic, this route is the main road to Alston and has lots of traffic and lots of motorbikes during the day. 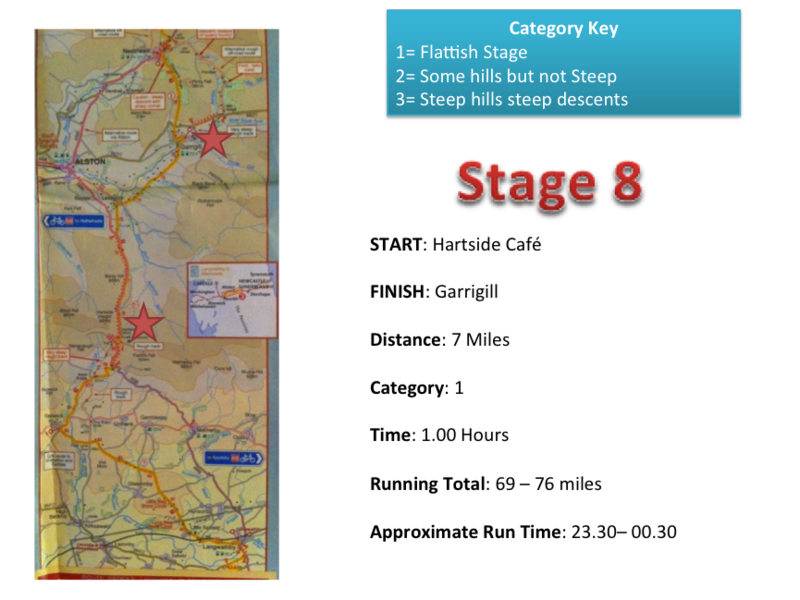 The riders arrived at the top at around midnight, and there was plenty of hot drinks ready for the weary cyclists. Hot chocolate and coffee was passed around as the temperature plummeted at the top. The top of Hartside is 1904 feet (although the 'official' sign says 1903ft). Spirits were high at midnight on the top of Hartside with the halfway stage of the route now completed. 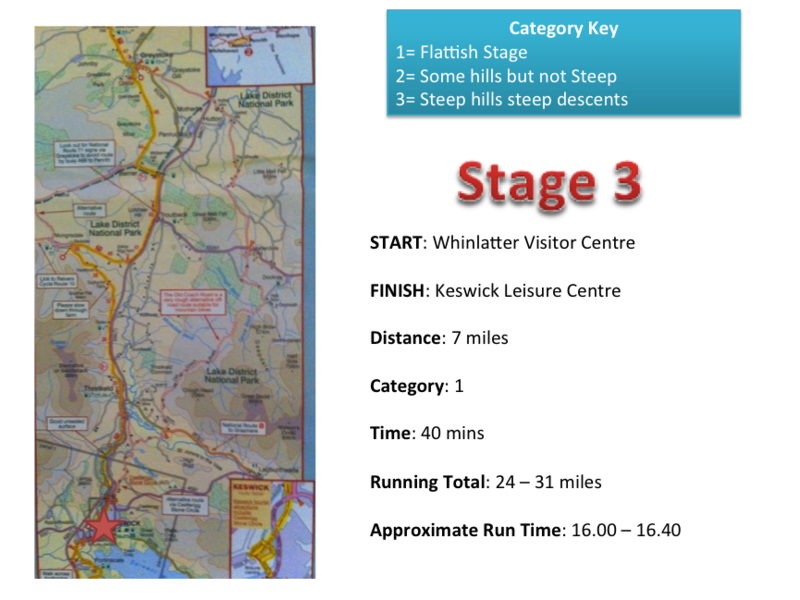 Riders at the top were taking it in turns in the vans putting on the layers ready for the long descent towards Alston. Hats, trousers and any spare items of clothing were put on to keep the riders warm. 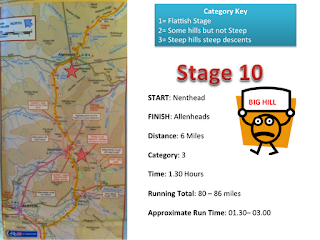 The next stage was taking very steady with the long descent towards Alston, the highest market town in England. With plenty of riders now getting tired, the group leaders were vigilant and ensured any riders who needed to were placed in the bus and their bikes loaded into the van. The group turned right towards Garrigill and stopped in a lay by to take off some layers as the roads became more undulating. From Garrigill, the group headed towards Nenthead which is the highest village in England at 1500 feet. 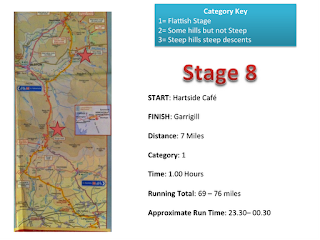 Although this is a short stage, riders were subjected to a testing hill just outside Garrigill. The group turned right and a steep section of road had to ridden before the climb continued for a few hundred metres. The support vehicles didn't enjoy this hill either!! The group arrived at Nenthead and some bike maintenance was carried out which gave the riders chance to relax and chat to the support crews and parents who were still following the group. Once the bike was fixed, the riders headed out of Nenthead on the A689 and turned left towards Coalcleugh before turning right towards Allenheads. Legend has it, that there is a cafe and pub at Allenheads - however when we arrived here at around 2am there was nothing open!! After a quick break at Allenheads, the hardy riders climbed before descending for around 6 miles to Rookhope. At 4am this was a very cold stage!! Then it was more descent to Stanhope - although the riders were glad that they weren't still climbing, the descending meant it was freezing, but the sun was beginning to shine over the horizon and natural light was helping keep the spirits up. It was now light and the daylight brought more riders out of the bus and back onto their bikes. The camera's were now back out so the next part of the trip could be documented. Once all the riders were ready and the groups split, the ride up Crawleyside was the next challenge, a hill of 17% ! Riders getting ready before the tough climb. Riders happy to have got to the top of the climb! After the climb up Crawleyside, the group relaxed at the Stanhope Moor where snacks were taken on board. This is where riders and support crews really needed to dig in. It was approximately 6am and some of the group had not slept at all, while other members of the team had managed a couple of hours in the bus. From Stanhope Moor, it was a 7 mile descent! Not much to report from this stage, except the great views as the sun came up over the horizon. 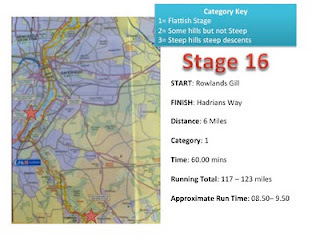 The toughest part of the route was now behind us, with the daylight returning and the biggest hills and most miles of the challenge conquered. Awesome light in the morning making the views spectacular!! 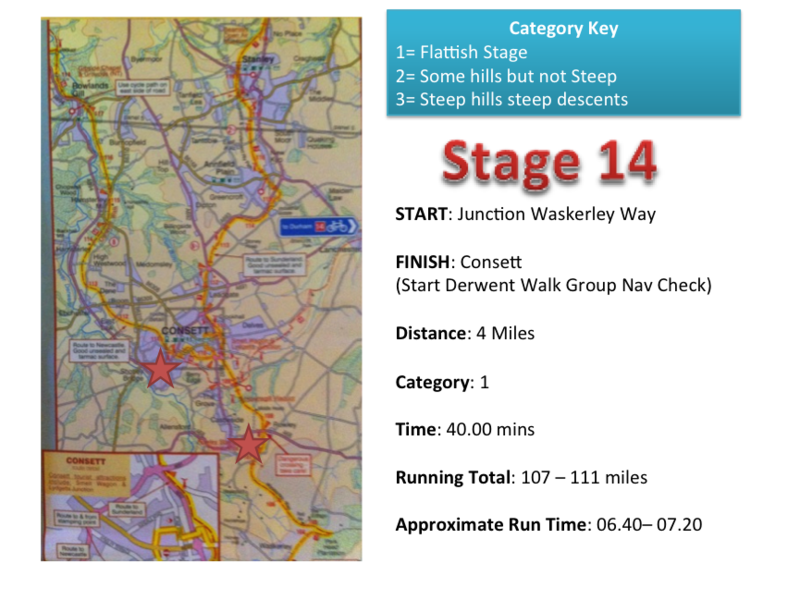 The C2C route would have taken us on the Waskerley Way here, after speaking to others who had ridden the route the decision was made to stay on the adjacent roads to avoid unnecessary punctures. Most, if not all riders were now back on the road as the group headed towards Consett. The group took over the roads, which were fairly quiet at 7am on the Sunday morning. With the sun now shining, there was plenty of chatter as everyone was digging in to ignore the sleep deprivation and aching muscles. The group heading up the hill to Consett, staying on the main road. We stayed on the main road to make sure no unnecessary diversions were taken ! Once through Blackhill, the riders continued on the A691 before joining the A694 towards Ebchester. We took a detour from the planned stage here. 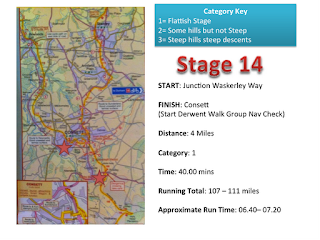 As the roads were relatively quiet (as it was early on Sunday morning), the group stayed on the A694 rather than join the Derwent River Walk. This meant the miles were eaten up faster, however we wouldn't recommend doing this at any other time of day as the road gets busy with fast traffic. Before embarking on the penultimate stage, the group relaxed at Rowlands Gill and were treated to bacon butties and cups of tea from the support crew. Across the road from the car park where breakfast was being eaten was Strathmore Methodist Church. The church kindly allowed us to use their facilities, which we were very grateful for. The group were also lucky enough to have sponsorship from Robert Wiseman Dairies, in the form of 'Shock' milk. These tasted really good, and came in 3 flavours, chocolate, banana and strawberry. The dairy kindly donated these for our challenge and they were very well appreciated by all the group. Once fed, the group headed up the road towards Newcastle before joining the Derwent Walk. This was very pleasant in the morning sunshine, although there were walkers on the trail so we had to keep our speed down and stay alert, moving from riding in two's to single file to give way to other users. Spirits were high on the final leg with the end in sight. The ride was pleasant along the quayside with the riders having to dismount because of the Sunday market. This was a slow part of the stage, with riders weaving in and out of stalls and walkers as well as having a look at the stalls themselves! The last 10 miles or so were pretty frustrating, especially with tired riders and with the signs often increasing the mileage to Tynemouth rather than going down ! The riding was very much in industrial areas, a long way from the start of the route in the beautiful scenery of the Lakes. The cycle way was two way and the speeds of cyclists coming the other way was often fast, so the group had to be disciplined and stay in single file to avoid any last minute collisions. Roads were crossed which meant lots of team work from the group. The end was almost in sight and the riders stayed together in one group, which looked spectacular with the sea of orange and yellow. Singing was once again on the agenda. The group were soon greeted with supporters and parents as the last few hundred yards were enjoyed by all the riders, soaking in the atmosphere. The challenge ended at 11:25am - 35 minutes ahead of schedule!! 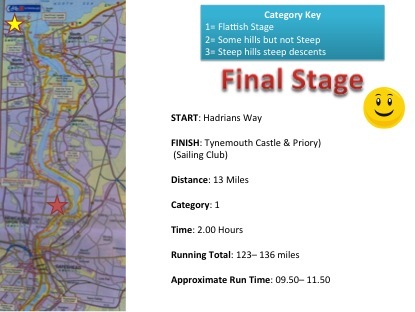 So, 30 riders and 3 support vehicles made it - the Coast to Coast in less than 24 hours - 136 miles from Whitehaven to Tynemouth ! 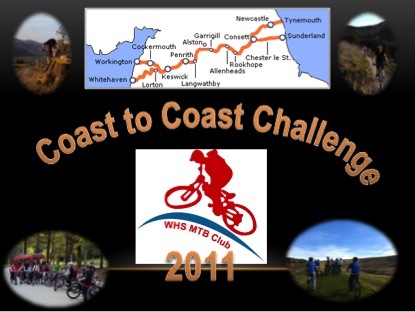 The successful ride raised over £4000 and meant we could purchase 9 new mountain bikes ! !